This 99.99% pure silver bullion coin bears a face value of $5. 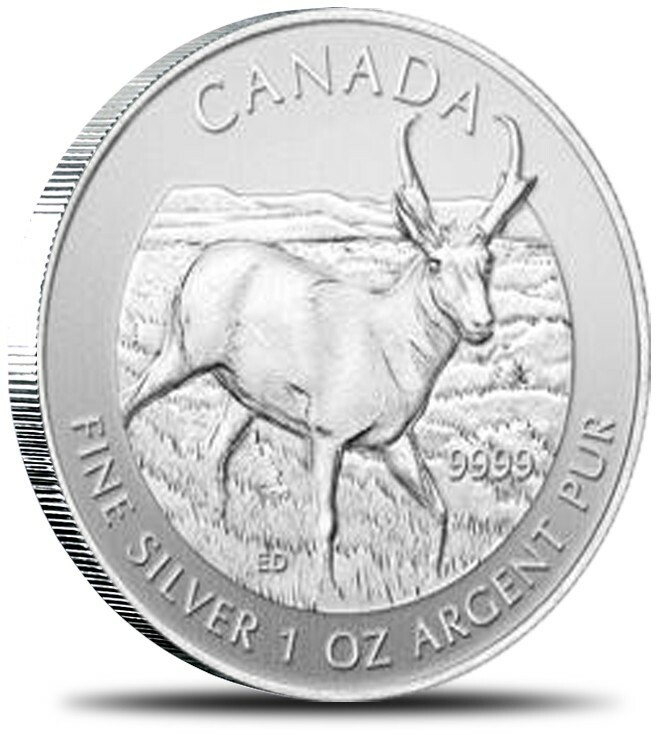 The Pronghorn Antelope is the fifth in a planned series of six wildlife bullion coins. The design of the 2013-dated coin was unveiled by Royal Canadian Mint officials at the recent American Numismatic Association World's Fair of Money in Philadelphia. One side of the coin depicts a Pronghorn Antelope in the wild, and the other side has an effigy of Queen Elizabeth II. "The previous coins in the exciting wildlife series quickly sold out, and we've had many inquiries about when the fifth design would be available. I'm happy to say we'll have them available in September while our supplies last," said Fuljenz who attended the Royal Canadian Mint's coin design unveiling at the World's Fair of Money. Presale Only - Extpected release Spetemeber 18, 2012.